The birth of this quilt was a real difficult one. I thought I would never see the end of it. 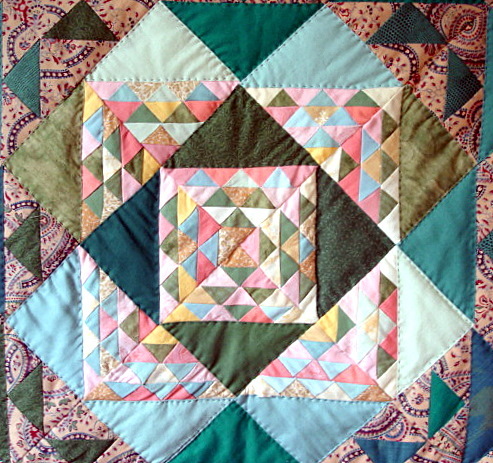 It was a kind of challenge, a mystery quilt that everyone in my quilting group had decided to sew in her own way some years ago. Each month a quilting friend from France sent us the instructions about a particular pattern. We never knew until six months later where all these different squares would lead us to. Curiosity and excitement finally won after the first difficult steps. I was quite happy of my first mystery quilt. We started by the center square. Four triangles of tiny pieces. Each side of the triangles about 2cm. 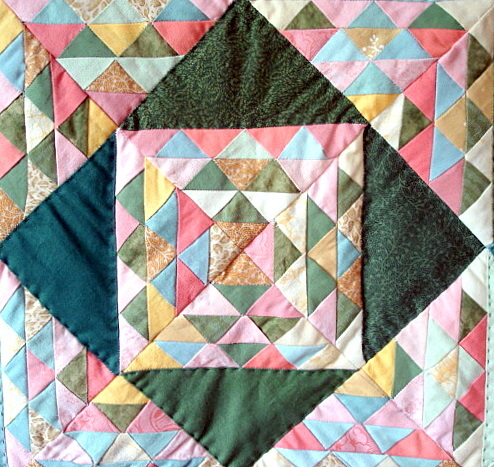 The center square about 10cmx10cm. This is what I found so difficult right from the start: working with such small pieces. In a way, it was good that the hardest part was done first, then all other patterns seemed so easy after it ! 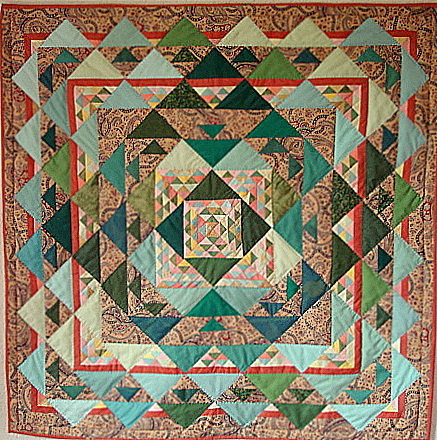 Green was the main colour in my quilt, together with a beige “paisley” cotton that had been waiting to be used for a long time. I like the warmth that the tiny red and yellow triangles added to the quilt. 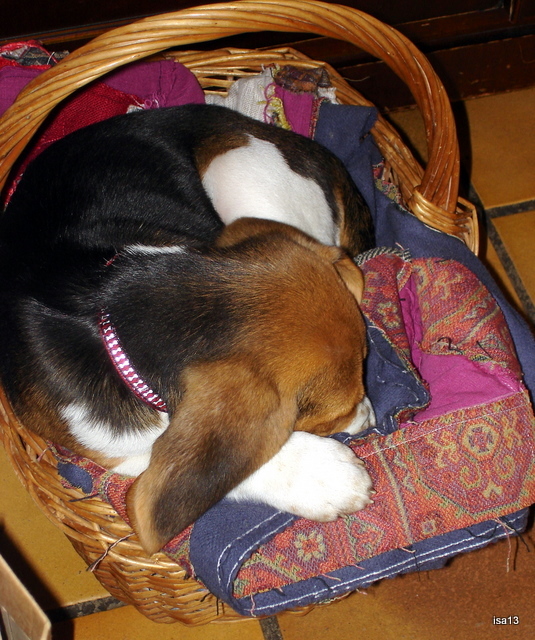 There is a mistake somewhere in the quilt but I have got so used to it that I cannot find it any longer… Maybe you can ? Grazalema. 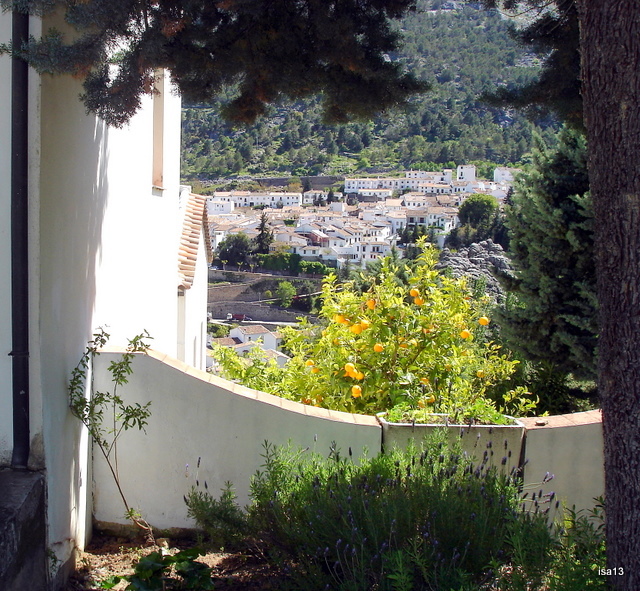 One of the most picturesque and important villages in the Sierra de Grazalema (mountain area). One of the many “pueblos blancos” (white villages) in the province of Cadix, Andalusia, Spain. Andalusia is the Spanish area where the Atlantic Ocean meets the Mediterranean Sea in Tarifa, the very Southern part of Europe. 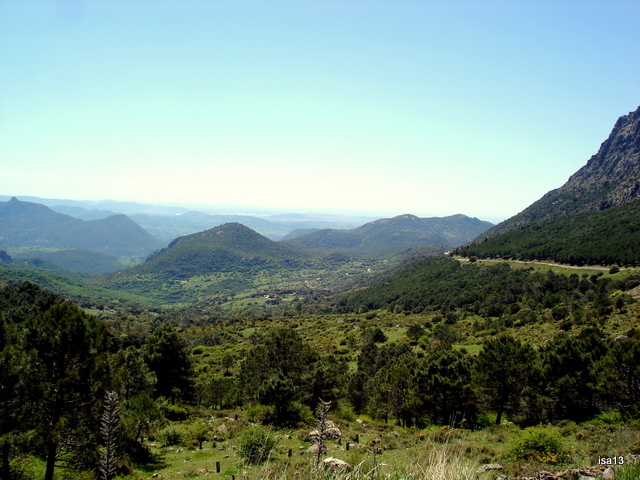 Andalusia is also a country of mountains and valleys, not unlike my own country, Switzerland. Nothing is more enchanting than discovering one of those white villages behind a steep curve of the narrow winding mountain road. They look like brilliant jewels nested in a box that would be the pine forest or the rocks. Truly magnificent ! The “pueblos blancos” are generally built on hills so that its inhabitants would see from afar any unfriendly visitors, troops would be better said. Some villages are still surrounded with ramparts, the protection against invaders of the past. 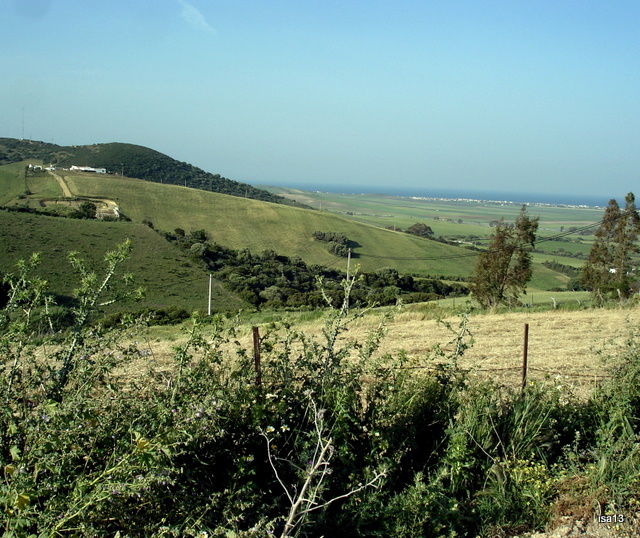 The Romans conqueered this area and then Berber tribes (from Northern Africa) took it over in the 8th century. A special craft, weaving woollen blankets, was developped at the time and it is still maintained today. The local factory used to employ 5000 workers in the 19th century. 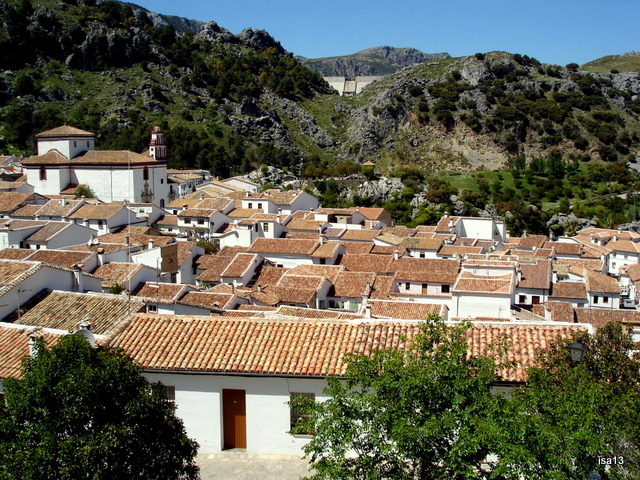 Most of Grazalema’s inhabitants live in small white houses with colourful tiled roofs. The narrow paved lanes were not built for cars . There is hardly enough space for a vehicle. Those villages are meant to walk through, stop and chat with friends, sit in front of your porch, admire your neighbour’s flower decoration or share the latest news. Time seems to have slowed down although this beautiful area is popular and very much alive when visitors come for holidays. Mountain climbing is wellknown up there. People staying there nowadays go to work in larger cities down in the valley. Or they live on craftwork; they also produce meat, a delicious one. Goats, pigs and cows seem to own the pastures. I also tasted goat cheese produced locally as well as olive oil, exquisite in salads or on a slightly salted toasted bread at breakfast. Well worth trying ! The blankets that are woven by the women and sold in the villages are still the very same than the ones you can find in Northern Africa. 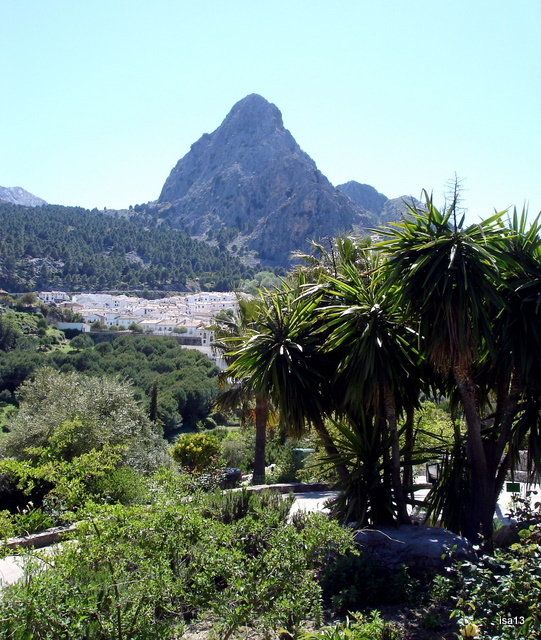 Driving down from la Sierra de Grazalema and back to the hill at Sindhura’s Hotel, my head was spinning with all I saw between ocean and high mountains. What a diversity in a single province ! Andalusia, the most Southern part of Europe, is a place I enjoyed visiting immensely for the friendliness of his people, the blending of ancient cultures and religions – Islamic and Christian, the variety of landscapes and food, the way of life. To me, it seemed that people knew how to take time when needed: stress and rush (apart from the big cities) seemed less apparent. Four hours away from home and a complete change of scenery. Truly magnificent. 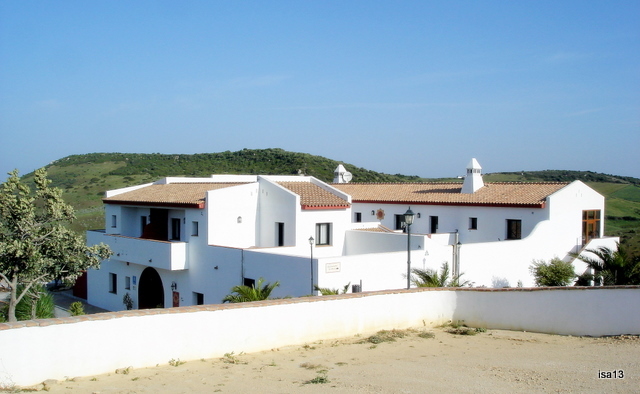 Sindhura Hotel, in Muela, near Vejer de la Frontera (Cadix province), was a heaven of peace after a long day of visits in the cities and towns around Cadix. 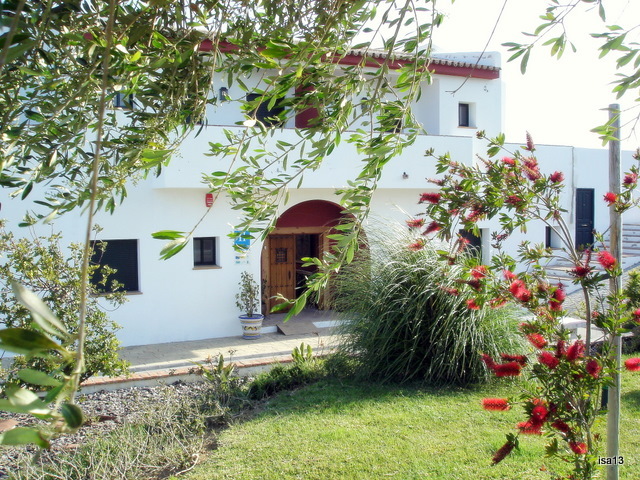 Close to the ocean and the mountains, it is the perfect place to spend a few days in Andalusia. 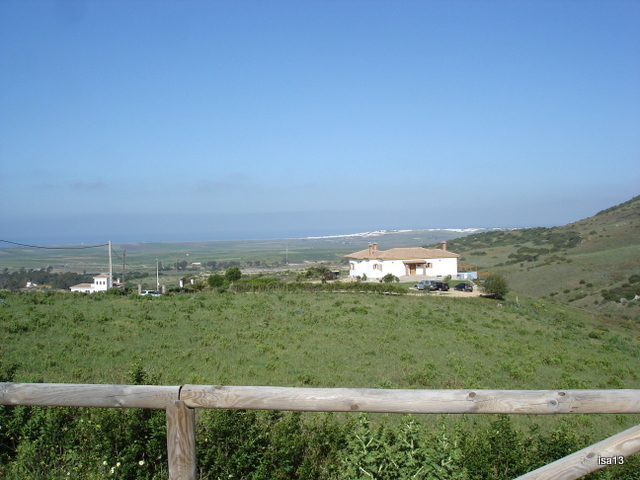 The small hotel is situated on a hill, in a quiet environment. 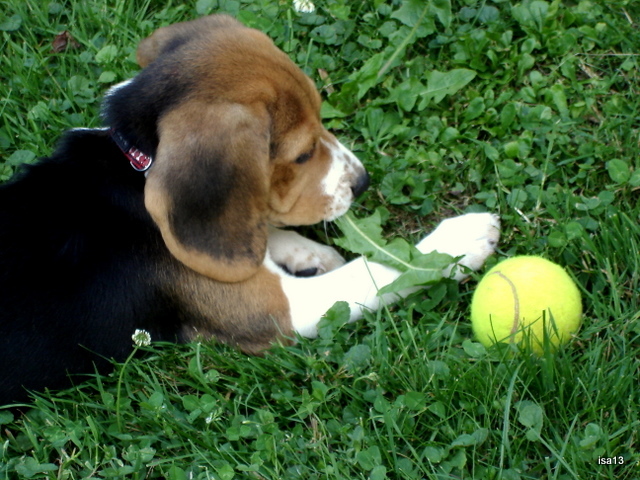 Birthday does not rhyme with Beagle But at least it starts with the same letter! 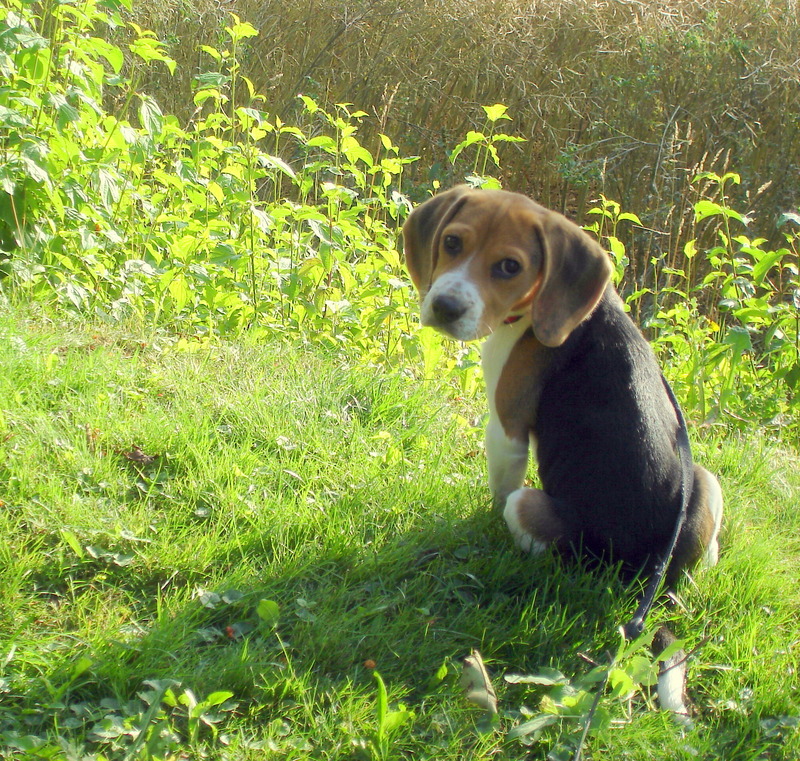 B like an adoraBle Bright little Buddy who Brings joy to everyBody at home. 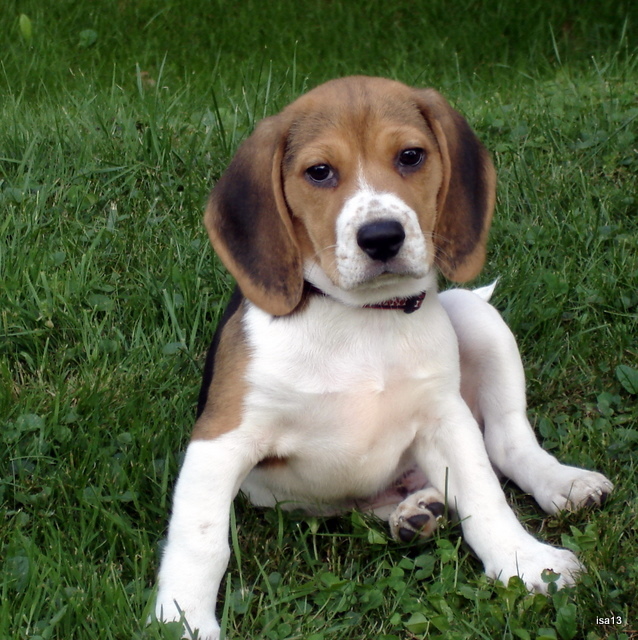 B like Better leave you for now : someBody is waiting for dinner !